Layers of sand dunes in soft light. 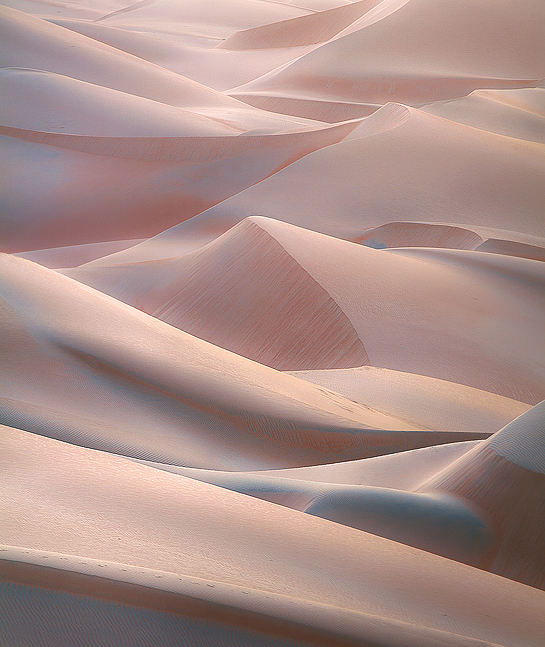 Note the remarkable purity and gentle range of hues on the sand here in the Empty Quarter, United Arab Emirates. Photo © copyright by Marc Adamus.